2-PIN NUMBERS TWO LOTS OF RECORD - TOTAL 6449 90/FT. SURVEY IN ADDITIONAL INFO. 1.5 story Single Family home shown on survey was demolish. 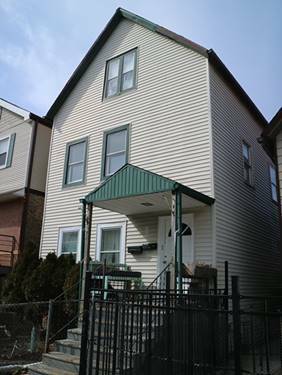 For more information about 3059 N Washtenaw, Chicago, IL 60618 contact Urban Real Estate.